I like the way the wood has outlived the hinge. Yes, doors tend to do that around here, due to salt corrosion. Oh of course – I was thinking it must be a cheap hinge and a wood with anti-fungal. Salt corrosion… Mmm marine grade stainless needed? I love the roof on this place! One of the things I loved best about Norway was all the grassy roofs! Norway is a place I have a yearning to visit. I guess it’s the tiny bit of Norwegian blood in me — my past ancestors calling to me from across the Fjords! I like the idea of lots of grassy roofs. Sort of like Hobbit houses. I would LOVE a hobbit house in my backyard! The trouble with hobbit houses is that you need to be quite small. All my family are really tall, me being the titch at 5′ 8″! There’s a story in that building! Yes, Andrea, there’s definitely a story or two attached to it. I think that’s why I’ve always had a fascination for old buildings and ruins. That particular building was in the grounds of a stately home, down near the vegetable garden. I imagine that the inside is a wonderfully modern place that uses the run down exterior as camouflage. …maybe even a portal to another world, or perhaps like Captain Jack’s headquarters in Torchwood. 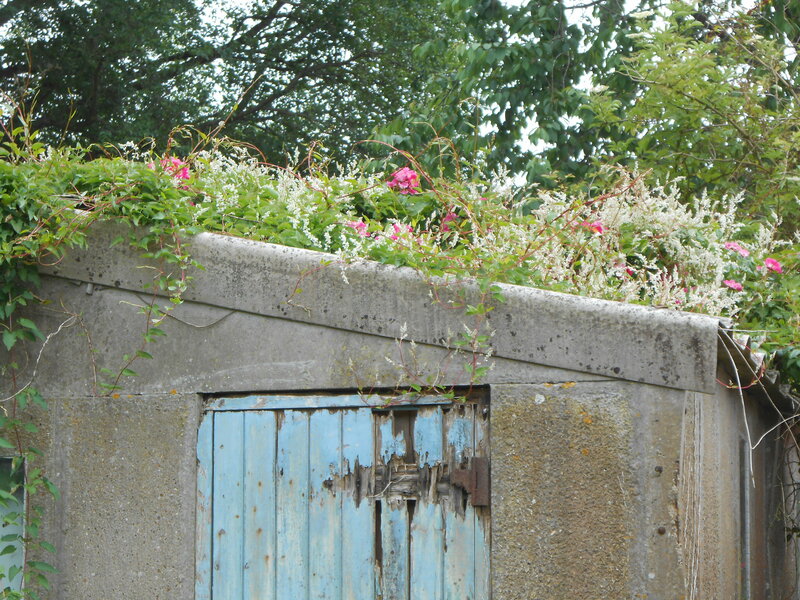 love the roof but also decayed doors!! It’s certainly a building of character. Hello, Hi new on your blog. That is really a beautiful structure if you consider. Following your blog. Write more!! Hello there, Swetank. Thank you for visiting my blog and liking so many of my posts. I’ve just visited your blog, too, and it is very interesting, so I’ve just started following it.